Margo Arrowsmith is the author of the book You Can Keep Your Parents at Home and developer of the L.O.V.E system. She is a licensed clinical social worker with years of professional and personal experience with In-Home Parent Care. Margo combines her personal familiarity with aging parents and 35 years of counseling families to present a unique perspective and series of solutions to assist people across the country and around the world keep their parents at home. 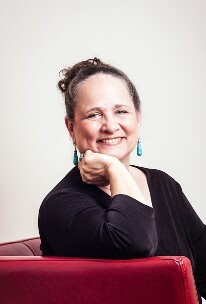 With a Master’s degree in Social Work, Margo has years of training devoted to families and their relationships. She has spent more than 30 years putting this training into practice by counseling individuals and families. When her parents started to get older, Margo got to see first-hand how complicated, confusing and frustrating it could be to find reliable, affordable care for her parents that allowed both she and them to continue enjoying each other’s company and maintain the highest possible quality of life. Margo is the first person to admit that she made mistakes in trying to provide her parents with care, and that is why she is so committed to helping others avoid these potentially painful and expensive mistakes. She is dedicated to helping both aging parents and their children have the best possible experience as parents age. To learn more about Margo, you can contact her by phone at (844) 807-2802 or by email.